Rogue One: A Star Wars Story debuted to an impressive $290 million at the global box office over the weekend, and just yesterday posted an impressive Monday take of $17.7 million domestically and $15.8 million internationally for a global day of $33.5 million. That means the film has now earned $172.7 million in North America and $150.8 million overseas, for a total of $323.5 million worldwide. 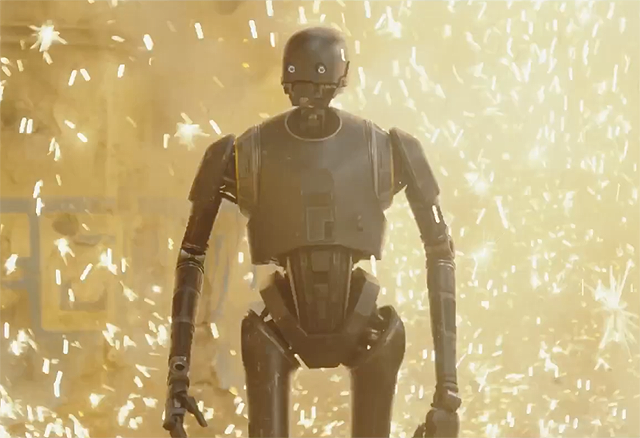 Disney’s Lucasfilm officially has another big win on the books after Star Wars: The Force Awakens, and they’re celebrating by releasing a new featurette about the movie’s big breakout droid character K-2SO, as played in a motion capture performance by Alan Tudyk (I, Robot, Serenity). Check out the new featurette below!